Tooth fairy pay-outs: how does South Africa compare? A few days ago, my 8-year-old son Jayden asked me the dreaded question that makes every parent cringe. No, not that one. The other one – about the tooth fairy. It went something like this: “Ma, why does the tooth fairy only pay me R10 per tooth, while all my friends get R100, R50 or R20?” They had obviously been comparing their pay-outs in the school playground. In my scramble to change the subject, I joked about trading in our current tooth fairy for a new one who paid private school rates. But his question prompted me to do some research on the subject. Is there an average tooth price that the tooth fairy pays in South Africa? How do we compare to other countries? Based on my informal research, some interesting results emerged. Inflation has hit just about everything – and the tooth fairy is no exception. Here are the US “rates”: In the 1940s, a dime ($0.10) was the accepted rate. In the 1950s, American children typically got a sparkling, new quarter ($0.25) for their lost baby teeth. In the 1960s, this had risen to a Kennedy half dollar ($0.50). In the 1970s and 1980s, $1 was the average fee. In the 1990s and 2000s, the rate could be anywhere from one to five dollars, often depending on which tooth was lost. The norm seems in the US to be for the first lost tooth to bring the highest pay-out. Fast-forward to 2013, and is there an average tooth price that the tooth fairy pays in South Africa? There didn’t seem to be any formal survey data about this. So I conducted an informal poll among parents in our network with children of teeth-losing age. Here are the interesting results that emerged. The range seems to lie between R10 and R100, with the average sitting around R50. So my son’s claim (that he was getting paid the least out of his friends) did seem to be correct. However, bear in mind that many of the parents we polled, send their children to private schools in Joburg Northern suburbs, where it is fair to assume the average is higher than in other, less affluent areas of South Africa. So although R10 per tooth may be at the bottom end of the Jozi private school scale, it is probably isn’t at the bottom end elsewhere in SA. And this is what we have to keep reminding our children. Otherwise, if you’re one of the more generous parents paying R100 per tooth, a mouthful of 20 baby teeth will set you back an whopping R2,000 per child! Interestingly, a few SA parents paid more for the first tooth than others, but this was the exception rather than the rule, unlike in the US. There were also cultural differences, with many Afrikaans families talking about a “tandemuis” (tooth mouse); a tooth fairy seems to be the Anglo-Saxon version. One mother said: “As a general consensus amongst the parents, the kids in my child’s class get the amount equivalent to their age.” My personal favourite was the father who tells his children that the tooth fairy pays significantly more for a perfect tooth than for one with cavities, in that way rewarding their children for good dental hygiene. So in 2013, how does South Africa compare to other countries? For countries like Australia, SA, Switzerland and the UK, there didn’t seem to be any formal survey data about the going rate for the tooth fairy or tooth mouse. I did come across some informal polls on Facebook and parenting websites, but these weren’t conclusive. The US seemed to be the only country with formal survey data on the subject. As part of their personal finance education program in the US, Visa conducts an annual survey about tooth fairy pay-outs. In July 2013 they sampled 3,000 random US households by phone. The survey results were drawn up based on 1,000 of those households with a child younger than 13. So what was the average pay-out per tooth? Based on Visa’s latest findings, the US tooth fairy is leaving a generous $3.70 per tooth, on average. In inflationary terms, that’s a 23% jump compared to 2012’s rate of $3 per tooth, and 42% up on the $2.60 per tooth that the tooth fairy paid out in 2011. Do the maths: if a child gets the US average $3.70 per tooth, they’ll pocket an astronomical $74 for their complete set of 20 baby teeth! With her pay-out to children climbing steadily per lost tooth over the last three years, this is one generous tooth fairy. Looking at the 13% dip in tooth fairy pay-outs from $3 in 2010 to $2.60 in 2011, many believe this was due to the enduring financial slump. Supporting this theory, the spike in the tooth fairy’s generosity in 2013 tallies with an improving economic recovery in the US. Their stock market is up this year; their second quarter GDP is at an annual rate of 2.5%, up from an initial prediction of 1.7% and well in excess of economists’ estimates. Many are confident that the third and fourth quarters will yield more improvement. So for some, it makes sense that the tooth fairy is becoming more lavish. Granted, these extravagant US households are exceptions. But in the US, is it fair to assume the biggest payments happen in the wealthiest homes? Interestingly, no. A fascinating trend that Visa’s research uncovered, is that the younger the parents and the lower their household income, the bigger their tooth fairy pay-outs. Roughly a third of all parents surveyed say the tooth fairy left $1 or less (which is like music to my R10-per-tooth ears). But US parents aged 18-24 give an average of $5.20 and parents bring home under $25,000 per annum give an average of $4.10. Why? With the amounts being so low to start with, paying a few dollars more per tooth won’t break the bank. Young parents pay more because of their lack of experience. Low-income families pay more as an easy way to keep up with their higher-income neighbours or schoolmates. What is driving the differences? It comes down largely to competitiveness between parents and keeping up with the Joneses. When their children compare notes in the playground, the last thing parents want is for their children to be the ones pocketing the lowest tooth fairy pay-outs. Visa’s Jason Alderman says: “Parents really are paranoid about their kids getting as much as their friends”. No parent wants their children to feel hard-done-by. Kit Yarrow, a consumer psychologist and professor at Golden Gate University, explains: “A kid who got a quarter ($0.25) would wonder why their tooth was worth less than the kid who got $5”. And based on my son’s comparisons with his schoolmates in the playground, it looks like children and parents are just as competitive in SA. The tooth fairy also forks out different amounts depending on the US region where children live. According to the 2013 Visa study, children in the Northeast are netting the most, at $4.10 a tooth. In the West they get $3.70 per tooth, and in the South, it is $3.60 per tooth. Midwestern children pocketed the least, at $3.30 a tooth. Education also seems to be a factor. According to Visa’s study, the greater the number of years their children spent in school, the less money the parents left under their children’s cushions. For US parents who aren’t sure how much money the Tooth Fairy should leave under their child’s pillow, Visa provides a free downloadable Tooth Fairy Calculator app at the iTunes store and another on Facebook. 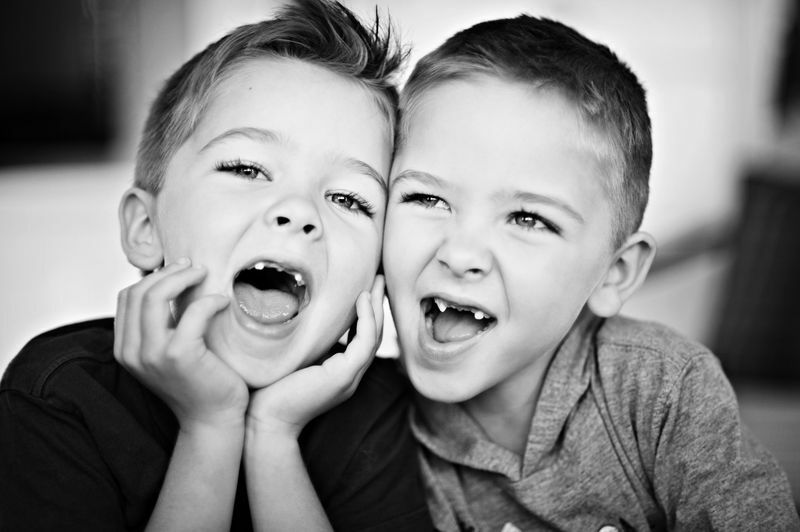 Not only does it help parents estimate how much a lost tooth is worth. It also helps them find out what other US parents of similar age, income group, education level, marital status, US state, etc. are paying, so that they don’t over-pay. Unfortunately this handy tool only has US data and US states, and a South African version isn’t available. If the South African decision-makers at Visa are reading this article, why not do a similar tooth-fairy pay-out survey in SA and offer a South African Tooth Fairy Calculator? My challenge to Finweek readers: would you be keen to take part in this study if Visa were to provide a free South African Tooth Fairy Calculator populated with our unique data? I know I would, so that we could have proper data for SA. For those of you who crave celebrity gossip, the tooth fairy visits superstars too. Daniel Zuk, a Canadian dentist and Beatles fanatic, paid a jaw-dropping £19,000 for one of John Lennon’s molars at a 2011 auction. Lennon, who was murdered in 1980, gave the decayed tooth to his housekeeper Dott Jarlet in the 1960s. It was subsequently sold and resold a number of times, eventually landing up on auction where Zuk snapped it up. So, what’s the takeaway? The tooth fairy or tooth mouse is a widely accepted tradition and a fantastic opportunity to teach our children financial skills. There is great variation in what we pay them for their teeth, but it’s not worth stressing about how much their friends are getting paid. Why? Because kids are smarter than you think. When one of his teeth fell out, I happened to find out that Jayden told his friend: “I only get R10 per tooth, and you get R100. So how about you give my tooth to your tooth fairy, and we can split the R100 50/50 between us?” To keep his entrepreneurial neurons firing, we’ve decided to keep on paying Jayden R10 a tooth, just to see what creative money-making schemes he comes up with. Categories: Finance | Tags: baby-tooth bubble, education, entrepreneur, financial literacy, global financial crisis, inflation, John Lennon, pay-outs, tooth fairy, tooth fairy calculator app, tooth mouse, Visa | Permalink. Dunno where you did your research. I’ve interviewed several people born between ’64 and ’70, and they all claim that they got the standard price of 5 cents. The small ‘silver looking’ ones. What a fascinating and amusing article. You could be onto something here akin to the Big Mac index!